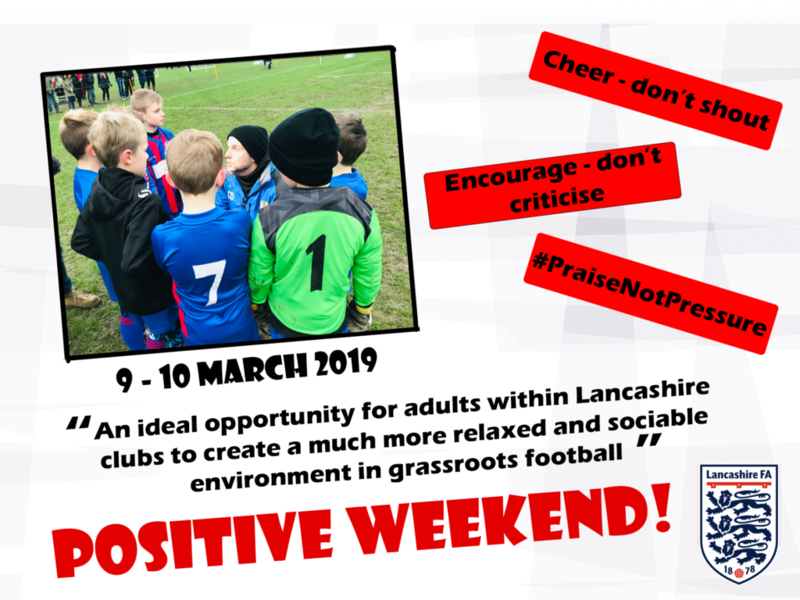 We are proud to have signed up to be part of the Lancashire FA Positive Weekend! Positive Weekend is the fifth anniversary of Lancashire FA’s Silent Weekend, an initiative designed to help kids on the pitch think for themselves, but more importantly be FREE from adult instruction. This year, during Positive Weekend, ALL clubs and leagues across the region have been invited to take part, and we have signed up! As part of this weekend, we request ALL adults, whether coaches or parents, to refrain from any direct instruction during the game but instead to lavish all children with praise and encouragement.